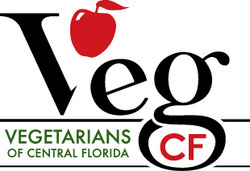 Central Florida Veg Fest provides many fun and educational activities for kids of all ages. 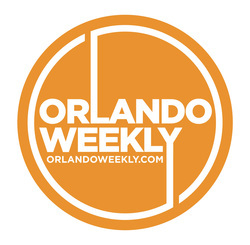 The Veggie Kids Zone is sponsored by Fun 4 Orlando Kids and My Central Florida Family. A coloring station is available during and between activities for everyone, especially younger children. Visit the information table for fun veggie worksheets and recipes for kids. Make your own edible paint and paint away on a wooden pallet! And create your own recycled paper flower pots. We hope to see you and your kids there! ​Participate in a family-friendly, interactive art installation called the SPORE Project. It is an awareness piece to support creativity and art education by constructing and planting mushrooms simply made from brown paper lunch bags. Come support the cause and express yourself by painting these mushrooms with our community! 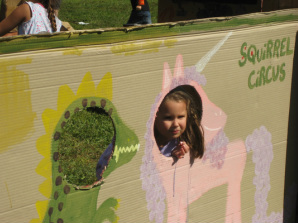 If you are interested in doing a kids activity at Veg Fest, please complete the Veggie Kids Zone Activity Application. If you have questions, please contact Veg Fest kids zone coordinator Channing Stone at Channing@CFVegFest.org or 407-929-5562 before registering. Engage in interactive activities to save animals, people, and the environment to become Super Solutionaries! with Solutionary Species, making the connection between human rights, animal protection, and environmental ethics. 12:00 p.m. "Eco Paint Making and Recycled Paper Flower Pots"
Learn to make paint with simple, affordable, and edible ingredients! Paint on the children’s community board to express your favorite things about Veg Fest. Make recycled paper flower pots using newspaper and recycled bottles, and learn about planting delicious and nutritious mung beans! Join us for a variety of veggie, animal, and Earth friendly stories. 2:00 p.m. "Water is Life"
Take action for the environment through learning with Eco Earth Friends! Warrior One Power Yoga welcomes kids of all ages to come stand tall like a tree, slither into cobra, and bark like a downward facing dog. Join Raw Juicing and Detox to learn how to make your very own scrumptious smoothie creations. 5:00 p.m. "Healthy Home Care for Kids"